Great Bentley’s marathon-man Paul Blackwell was at it again this week, clocking up another two marathons in his bid to join the 100 club. First up for Paul was the Soul Cake Day challenge in Samphire Hoe, Kent on Tuesday. The challenge consisted of 3.85 mile out and backs along Samphire Nature reserve. There was a six hour time limit and each runner could complete as many out and backs as they wished (or at least as many as they could), within that time period. Paul wished to complete seven laps to take him slightly over the marathon distance at 26.95 miles. Paul successfully completed the seven laps on what he described as ‘a warm day with a slight breeze’. Marathon number 88 completed. Two days later Paul was back in Kent for another timed challenge. This time at Pegwell Bay Nature Reserve for The Black Hugin Challenge. The Hugin is a replica of a Viking ship that is on permanent display in Pegwell Bay. The challenge consisted of 3.75 mile loops, which passed the Hugin twice per lap. The runners will have had many opportunities to get a good look at it, that is until the light started to fade. That is where the ‘black’ in The Black Hugin Challenge comes from, with runners running into the darkness of the night. The challenge started at 5pm, meaning that runners had the option of running until 11pm. Paul was only interested in completing enough loops to take him over the marathon distance, and only needed a head torch for his last three laps. Paul completed seven laps, and in so doing completed his 89th marathon. Moving slightly down the distances, on Sunday Caroline Searle completed the Dunstable Downs 20 Mile Challenge in 4:08:34. The self-navigated route sounds idyllic from the website description: ‘A scenic, rural trail run, run mainly on public footpaths and bridle ways with occasional sections on quiet country lanes.’ However Caroline’s description sounds much more challenging! She does recommend the race though, saying it was well organised, gave a nice medal and food was included in the price, which was less than £20. In completing the race Caroline also took the vacant 20 mile spot in the senior ladies’ club championships. Also in action on Sunday was August’s runner of the month, John Bush. John completed the Framlingham 10k in 1:05:14. He described the route as two and a bit laps, half uphill and half downhill. John said the race was well organised and the cakes weren’t bad either! He did end his description with a rallying cry: this was the third consecutive year that John has been the only Bentley runner at this event. He would like some company next year. Lorna Sharp and Alison Clarke had each other for company as they toed the start line of the Blackwater Charity Triathlon in Maldon. The event consisted of a 400m Swim, 23k cycle and a 6k run. Alison completed the event in an impressive 1 hour and 43 minutes. Lorna was sixth female finisher when she crossed the finish line in 1 hour 23 minutes. Alison and Lorna after finishing the Blackwater Charity Triathlon. There was another good turnout of Bentley juniors at Colchester juniors parkrun, the free weekly timed 2k run for children. Caitlyn Hughes (13:46), Megan Hughes (12:17) and Chloe Iddon (16:47) all donned hairbands fitted with teddy bear ears to mark the visit to the event of Myles the bear from the charity MS-UK. Harrison Leek (8:29), Yasmin Leek (16:50), Ella Simpson (16:30) and Rufus Keitch (14:38) were the other juniors taking part. Saturday started, as they all do, with Bentley runners participating in parkruns up and down the country. Six Great Bentley Running Club members took on Colchester Castle parkrun’s orange route. Charlie Keitch was pleased with his sub-20 minute finish, which earned him 16th position, in a time of 19:53. After two weeks of 23 minute pacing practice, Lee Clarkson welcomed the opportunity to test himself over the Castle Park hills, finishing in 21:53. Only six seconds separated Scott Young (26:03) and Rebecca Conran (26:09). 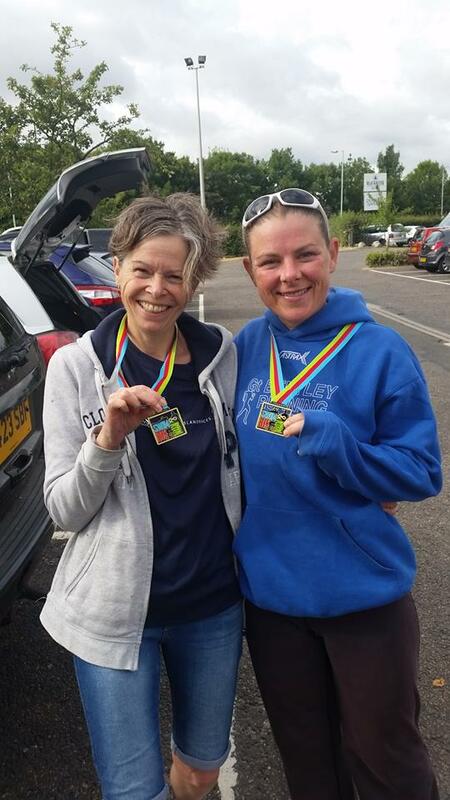 Anna Mills (24:05) and Claudia Keitch (29:52) completed the Bentley representation. Charlie Keitch runs another sub-20 at Colchester Castle parkrun. Meanwhile, five Great Bentley runners took on the 5k course of Harwich parkrun. A group of speedy Dutch runners looking for a 5k warm up before they took on the Essex Way Relay Race on Sunday couldn’t keep Malcolm Jarvis out of the top ten. Spurred on by the fast field, Malcolm completed the course in 20:34, just six seconds outside of his course PB. Kevin (23:55) and Sandra James (34:12) both ran for the second consecutive week at Harwich parkrun, and both ran faster than the week before. Katy O’Leary earned a top ten gender position with her time of 28:27. 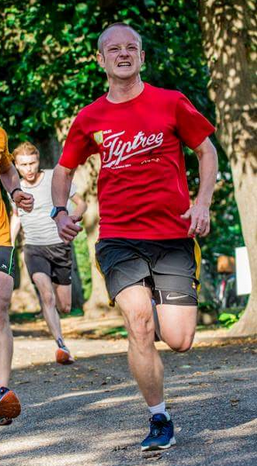 Paul Hollidge (26:10) completed his 96th parkrun, prompting discussion for a fitting celebration of his 100th. Rich Moor was this week’s parkrun tourist when he participated in Bedford parkrun. An Achilles tendon injury caused him to take a cautious approach to the run. Starting at the very back (370th position), Rich worked his way gently through the field and finished in 69th position in 23:29. Rich really enjoyed the run and said he would recommend Bedford for anyone going for a PB. He described the route as a ‘flat, 2 lap course through a picturesque park’.